For lenders, adoption of tech-enabled risk modelling techniques, for instance, removes limitations associated with manual credit assessment and directly translates to speedier disbursement of credit to qualifying applicants. Beyond enhancing internal processes, technology is enabling lenders to target potential applicants based on their Internet search and social media behaviour patterns and helps expand sales pipelines and reach beyond target markets. ‘Pay-as-you-use’ tech offered by new age fintech vendors greatly helps level the playing field for newer players against well-heeled larger players. The arrival of tech-enabled alternative financing platforms like ‘Peer to Peer’ and ‘New to Credit’ lending, is also increasing choice for the borrower. In the pre-tech era, borrowing was like buying groceries from the only shop in your neighbourhood. You had to buy what was available. Lenders, banks and non-banking finance companies, offered a fixed set of loan options and borrowers had no other choice but to settle for whatever was available. For many start-ups, an ‘angel’ investor will be the preferred choice. These investors can offer extensive experience and expertise, helping the business leaders through unfamiliar territory, whilst standing back from the day-to-day management of the business. Often referred to as “patient capital”, angel investors are generally less concerned with rapid returns, supporting the business throughout its growth. Alternatively, fintech companies may turn to venture capital (VC) investment. It is, however, worth considering that the VC investor will want to exit at some point down the line, many frequently departing within five years of Series A investment. It should also be kept in mind that they may want some control over the day-to-day operation of the business, and would possibly want a position on the board. Start-up businesses often receive investment that is particularly hands-off, where the investors pay little attention to day-to-day matters. As the scale of investment increases, businesses should prepare for this dynamic to change. Today’s workforce includes five generations using Office on multiple platforms and devices and in environments spanning work, home, and on the go. We wanted a visual language that emotionally resonates across generations, works across platforms and devices, and echoes the kinetic nature of productivity today. Our design solution was to decouple the letter and the symbol in the icons, essentially creating two panels (one for the letter and one for the symbol) that we can pair or separate. This allows us to maintain familiarity while still emphasizing simplicity inside the app. Separating these into two panels also adds depth, which sparks opportunities in 3D contexts. Through this flexible system, we keep tradition alive while gently pushing the envelope. ... To reflect this in the icons, we removed a visual boundary: the traditional tool formatting. 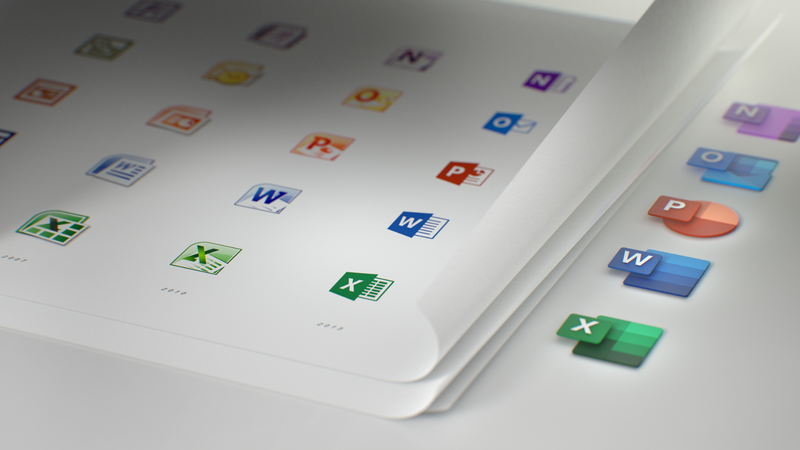 Whereas prior Office icons had a document outline for Microsoft Word and a spreadsheet outline for Excel, we now show lines of text for Word and individual cells for Excel. The first step in understanding how to achieve XAI is to understand what a model is and how it works. Simply stated, a model is a set of transformations that convert raw data into information, most often by applying statistics and advanced mathematical constructs such as calculus and linear algebra. What makes AI models different from traditional data transformations is that the model is constructed by employing algorithms to expose patterns from historical data; those patterns form the basis for the mathematical transformation. Traditional data transformations are most often a set of directives and rules established and programmed by a developer to achieve a specific purpose. Because AI models learn from having more data, they can be regenerated periodically to sense and adjust to changes in the underlying behaviors associated with the transformation. One of the strengths of AI is that the process of creating a model can identify patterns that are not obvious and intuitive by looking at the data. The Bank of Canada staff economists considered all of this in a discussion paper released this fall called "Is a Cashless Society Problematic?" The paper cites the consistent decline of cash payments in Canada for decades. It also mentions an analysis by Forex Bonuses, which declared Canada the top country in the world embracing cashless technology. A very close second was Sweden, a country where the government is now studying how going cashless could affect the nation. The findings, referenced in the paper released by the Bank of Canada, focused on indicators such as the number of credit cards per person and the volume of cashless transactions. To save drivers time and to reduce traffic congestion, New York state switched to cashless toll booths at Grand Island, where millions of tourists travelling to Niagara Falls pass through every year. For users without a pass, the state mails the registered owner a bill. The complication is mailing bills to Canadian addresses attached to license plates. The state can't access that information, which they didn't fully consider when implementing the system. Several barriers to AI adoption, ranging from analyzing disparate data to identifying the right AI use case to hiring the best talent, hold back companies from seizing AI opportunities. For quite some time now, there has been a lot of buzz around AI and its promise to disrupt industries altogether. From digital assistants to robotic process automation to self-driving cars, AI has offered cool and innovative applications, which have only been the subject of science fiction. Today, AI has reached a level of precision where it can understand human emotions too. The power of AI to make machines ‘smart’ and ‘intelligent’ has triggered a lot of industries to invest in AI projects. The decision of leveraging AI to aid digital transformation is pretty understandable. But, companies should first analyze the potential barriers to AI adoption so that they can enjoy successful AI implementation. While companies think of leveraging AI for transforming their existing workflows, they should keep in mind these potential hurdles, and plan their journey with AI accordingly. Throughout 2018, the staggering growth of digital assistants, such as Amazon’s Alexa and Google Home, showed that smart devices are here to stay. While the concept of smart toasters has been a long-running joke, analysts forecast strong growth among consumer-facing IoT devices of all shapes and sizes. A bit of smart technology can simplify our home lives; automated vacuum cleaners have long been popular, but adding in some smart technology can make them even more useful. Smart technology is already make home security systems far more capable, and bringing smart technology into the kitchen can make it easier to save time while preparing meals. Businesses are certainly looking into investing in smart technology, and smart desks and smart walls are expected to become far more common in 2019. If there’s any perceived benefit of adding IoT technology to a consumer device, someone is likely to offer it for sale, even if the value added is dubious. Edge devices are have become staples of typical IoT installations, as they allow for more efficient operations and better responsiveness. The Service Fabric Cluster provides you with a reliable and scalable cluster of VMs running the service fabric runtime into which you deploy and manage your applications/services (containerized or non-containerized) via a highly available cluster endpoint. The service fabric runtime makes the service placements decisions based on the integration it has with the underlying azure infrastructure, making them reliable. When using Azure Service Fabric Clusters, you have to administrator access to not only your cluster, but also the VMs that make up the cluster. You pick the VM SKUs to meet your needs, you get to decide on the network security rules and the autoscale rules by which you want to scale the cluster. You can set up automatic upgrades of the service fabric runtime and the VM operating system. With this offering, you are only paying of the VMs, Storage and Networking resources you use, the service fabric runtime is effectively free. It is great fit for customers/ISVs who want need full control for the infrastructure. My robot uses the Robot Operating System (ROS). 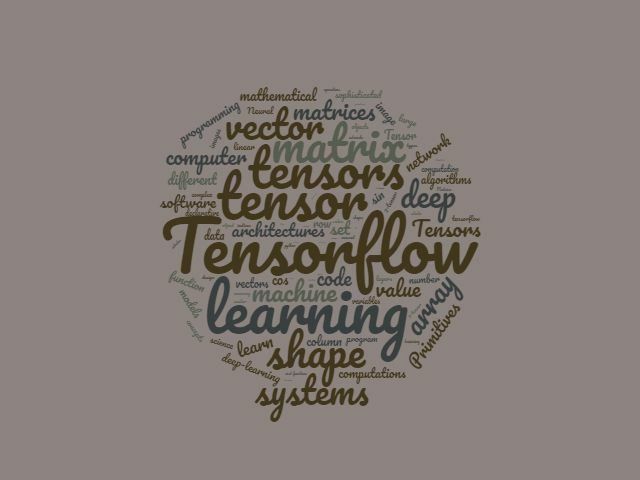 This is a de facto standard for robot programming and in this article we will integrate TensorFlow into a ROS package. I'll try and keep the details of the ROS code to a minimum but if you wish to know more can I suggest you visit the Robot Operating System site and read my articles on Rodney. Rodney is already capable of moving his head and looking around and greeting family members that he recognises. To do this we make use of the OpenCV face detection and recognition calls. We will use TensorFlow in a similar manner to detect objects around the home, like for instance a family pet. Eventually the robot will be capable of navigating around the home looking for a particular family member to deliver a message to. Likewise imagine you are running late returning home and wished to check on the family dog. With the use of a web interface you could instruct the robot to locate the dog and show you video feed of what it's doing. Now in our house we like to say our dog is not spoilt, she is loved. ￼The Digital Twin Organization: Can Enterprise Architecture Help? The Digital Twin of the Organization is a concept created by Gartner. Quite simply, it is predicated on using a digital representation of an organization (its business model, strategies etc.) to better plan and execute a business transformation initiative. The whole idea behind the digital twin concept, and the reason why it is so useful, is that it offers a virtual model that can be analyzed and tweaked more easily than the real thing. The new insights and efficiencies you uncover this way can in turn be used to improve the organization. Model is the key word here. Models are massless, frictionless, virtually free, reusable, and – importantly – they are also the lifeblood of enterprise architecture. Thus, EA is by default positioned to play a key part in taking the Digital Twin of the Organization from concept to reality. We have been arguing the importance of a model-based approach to business change for quite some time on this blog, now it seems the future is starting to catch up. Let us have a more detailed look at how exactly EA helps, and offer some examples based on the BiZZdesign suite.